The Lottery Surf Trip was a concept dreamt up by Joe and the team at Wavelength Surf Magazine. 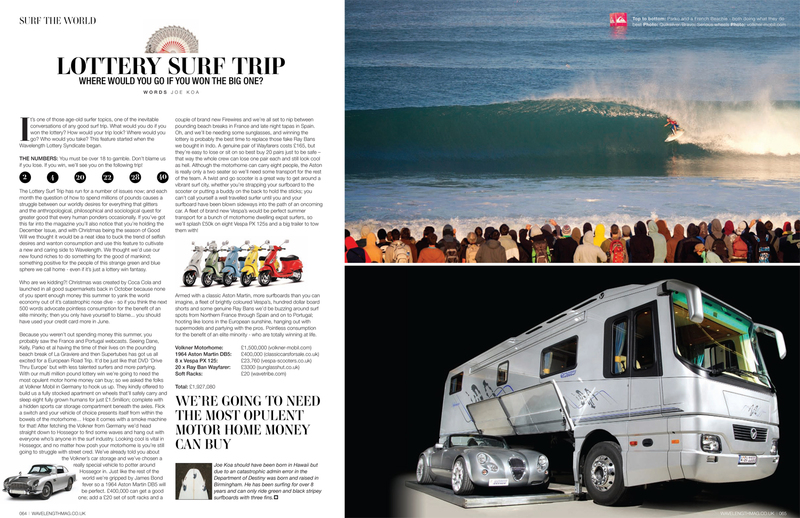 It was a double page spread based around a no-limits lottery win surf trip of your wildest dreams! This edition involved purchasing the ultimate motorhome, a fleet of Vespa scooters, an Aston Martin DB5 and a lot more.